It’s so easy to overlook the balance of your hormones. Our major endocrine glands that create our hormones include our brain, parathyroid adrenal, pancreas, gastrointestinal tract, and reproductive glands. It also controls many aspects of our overall health including our energy levels, weight, and even our mood. In America alone, 10 up to 20 percent of women are affected by PCOS or polycystic ovary syndrome, making it one of the most common hormonal disorders among women. For women who are in the childbearing age, it can be a big contributor to infertility. Insulin resistance is also associated with PCOS because it is believed that high insulin levels can increase androgen production and vice versa. Excess male hormones or androgen can throw off regular female body functions. This includes our menstrual cycle. High levels of androgen which results in excess facial hair and acne. Having PCOS can be a debilitating thing. It can affect your dreams of having a family, physical appearance, daily routine, and overall health. However, having PCOS can be naturally managed (but not cured) through certain medicine and lifestyle change. The word phytoestrogen comes from the Greek word “phyto” meaning plant, and “estrogen”, the hormone that causes fertility in all female mammals. Phytoestrogen cannot be created by the human endocrine system and can only be ingested. Plant-based estrogens are gained through eating phytoestrogen-classified plants. Soy is the most common and it’s in a lot of gluten. All legumes such as lentils, flaxseeds, and sesame seeds are also considered phytoestrogens. Women who have PCOS have high testosterone levels and the logic of increasing phytoestrogen consumption would help alleviate the symptoms. However, keep in mind that soy is often genetically modified and processed, which can be potentially triggering hormonal imbalances. Insulin resistance is directly related to hormonal problems, so it’s very important to find ways of managing it. High blood sugar can contribute to diabetes, heart disease, chronic metabolic diseases such as increased fat storage in the abdomen, and can also cause poor energy. The best way to manage your blood sugar is to avoid refined sugar and refined carbohydrates. Food such as baked goods, white bread, and pasta usually have a high glycaemic index which basically means that it will raise your blood sugar very quickly. Sodas and other sweet drinks are also filled with artificial sweeteners and preservatives that can lead to hormonal imbalance and a blood sugar spike. Caffeine and nicotine are also known to cause a blood sugar surge because of a sudden surge of adrenaline. Raw, cooked or roasted vegetables: Mushrooms, onions, tomatoes, brussels sprouts, zucchini. Low-fat dressings like hummus, guacamole, salsa, roasted seasonings such as rosemary, garlic or cayenne pepper. Greens: kale, spinach, and chard. Hydrate: water is always good, but you can infuse fruits and vegetables in your water. Lemon and cucumber is always a good option. They’re low-carb and can even make you feel full so you don’t crave other foods. We all know how sleeping gives our body the time to regenerate our cells and maximize our hormone production. When we are deprived of sleep, our hormones are thrown out of balance and it can cause us to eat more and feel hungrier which can result in weight gain and an increase in blood sugar. Not getting enough sleep can cause elevated cortisol secretion in our adrenal glands which can contribute to excess body fat, suppressed immune systems and poor cognitive function. Try to sleep in a dark room with no light. Most of the time, blocking out all sources of light can send a signal to your brain to enter sleep mode. Start dimming the lights in your bedroom at least an hour before bedtime. It signals your brain that it’s time to wind down. Avoid using any electronic devices or anything that requires a lot of thinking for at least an hour before going to bed. These activities can keep your brain wired. Try reading a book instead! Avoid eating, drinking and working out at least 2 hours before bedtime. You may also improve your quality of sleep by using essential oils. While these tips don’t guarantee full management of PCOS or any other hormonal diseases, it can be an additional measure in ensuring that along with proper medication and medical advice, you’ll have better results in managing your hormonal imbalance symptoms. I think these tips help even if it doesn’t necessarily ‘cure’ PCOS. I always drink soymilk just to maintain my hormonal levels. I think it works because before I was even drinking soymilk on a regular basis, I still had irregular periods. After a month or so of drinking it, I find that it was a lot more regular than the usual. PCOS really is debilitating. I get really bad dysmenorrhea because of it. Sometimes I feel like my medications are making it worse even though it claims to regularize it and give me fewer cramps. In fact, I think it was a lot more unbearable now. I know, it really makes me useless for about 2-3 days a month! I’m worried that I might also have PCOS because it runs in my family. I should probably do an annual checkup.? My mom is still young but she’s approaching menopausal period already. However, when she was younger she was already diagnosed with hormonal imbalance. She wouldn’t get her period for 3 months and then it would really be painful the moment she starts getting it. ? I thought I was safe from PCOS until I underwent extreme stress because of work-related issues. It was so extreme that I bled for more than a month to the point that I thought I was having a miscarriage. The thing is, I wasn’t even pregnant. I was told that I developed a hormonal imbalance because of stress that caused my heavy period that lasted for more than a month. I never thought that something like stress could completely change my entire life. It took me forever to find a PCOS medication that worked well for me. Others made me feel really lethargic and I’d even get comments from my officemates that I looked really tired and ugly. I was so annoyed that they even had the guts to say it to my face. Well, excuse my ovaries because I didn’t tell it to grow cysts in the first place! ? Along with my medication, I really like incorporating natural remedies like this. It wouldn’t hurt to try it because it’s all-natural and won’t interfere with any of the medications given. I was told that weight also has a lot to do with PCOS by my OB, so I think exercise can also be a good way to balance your hormones. I have arthritis so consuming phytoestrogens isn’t exactly good for me. So beware. I wonder if there’s a possibility to overdose with phytoestrogens that it could throw everything out of balance as well. It’s starting to become a fear for me that even my daughter would have PCOS in the long run just like me. Not to scare you or anything, but it’s really possible. Make sure that you give her annual OB check-ups. 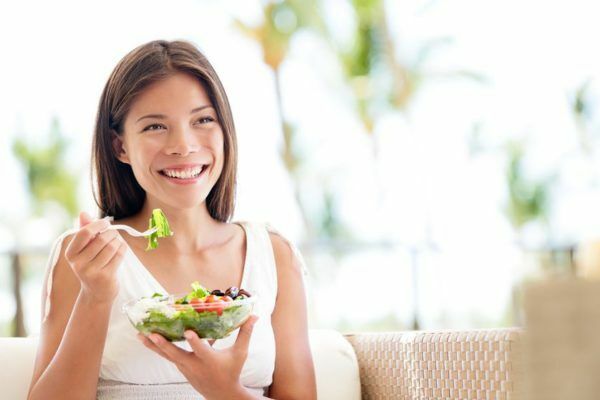 It’s also good to keep her weight and diet in check because it can make a big difference in her hormonal balance. I agree with both of them. Make sure to explain to her about PCOS as well because diet and weight management can be a tricky topic. This is important for women. It’s us who usually go through hormonal imbalances. PCOS is like a hybrid of symptoms which can cause a lot of confusion. I highly suggest that you please never assume that you have PCOS even if you don’t. I remember this officemate of mine who kept saying she had PCOS just because of irregular periods that are delayed for “days”. She was never diagnosed by a doctor. She just assumed. I’m diagnosed with PCOS, had numerous ultrasounds only to get the same results, I bleed or don’t bleed for months, and I have extremely light or extremely heavy periods. My hormones are a lot like a roller coaster and it causes extreme mood swings. Please, get diagnosed and don’t try to treat yourself just by assuming.